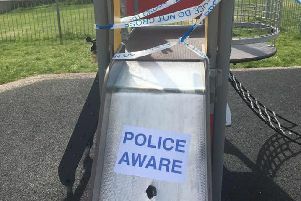 Two men have been arrested in connection with a burglary which saw iPads and watches swiped from a Berkhamsted home this month. A 33 year old man and a 29 year old man, both from Houghton Regis in Bedfordshire, were arrested last Monday suspicion of burglary in connection with the incident in Cedar Road on the previous Saturday, March 14. It is alleged the offenders forced open the rear doors of the property, searched the house and made off with iPads and watches. The 33 year old man was also arrested in connection with three incidents of fuel thefts, taking place at Shell service station in Stoney Lane, Hemel Hempstead and an Esso garage in London Road, Berkhamsted on March 8, and another Shell in Tring’s Brook Street on March 4. Both men have been released on police bail until 1 May. Anyone with information is asked to call the police non-emergency number 101 with information.